"This design was inspired by four women connected to Chilkat weaving in our family, past and present. The four Chilkat faces on the outside border of the design (starting clockwise from the top) represent Anisalaga, Abaya'a', Gwantilakw, and Nalaga. Spaced between these four Chilkat faces are examples of 'Raven's Tail' geometric weaving. 'Chilkat' and 'Raven's Tail' weaving are the two types of weaving that came from the Tlingit. 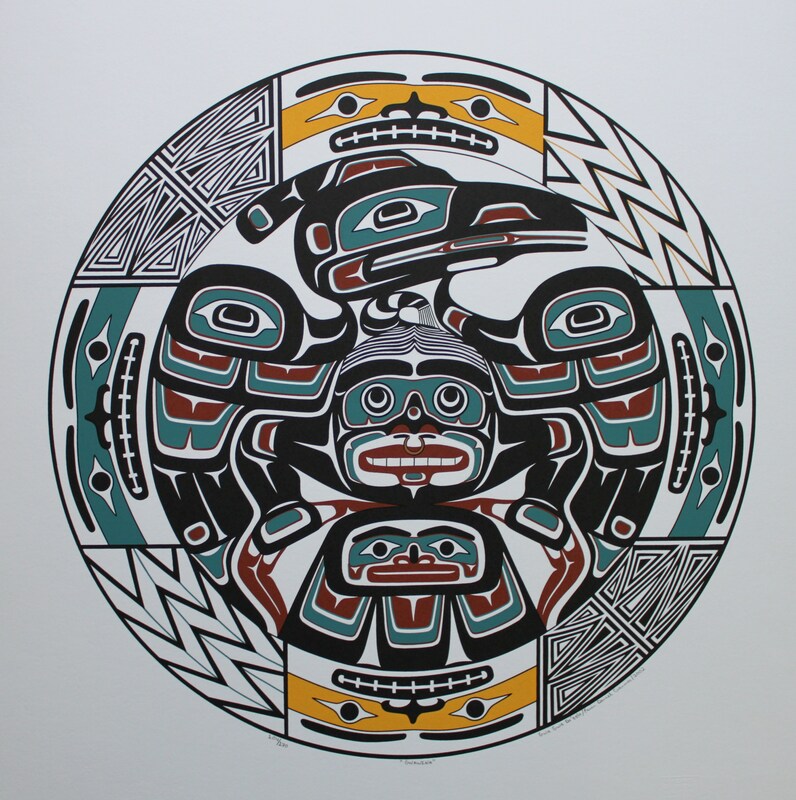 Encompassed in the centre of this design is the Raven, the main crest brought down by Anisalaga from Alaska. The face on the chest of the Raven represents my daughter, Gana'o, the labret and nose ring are indicative of nobility. 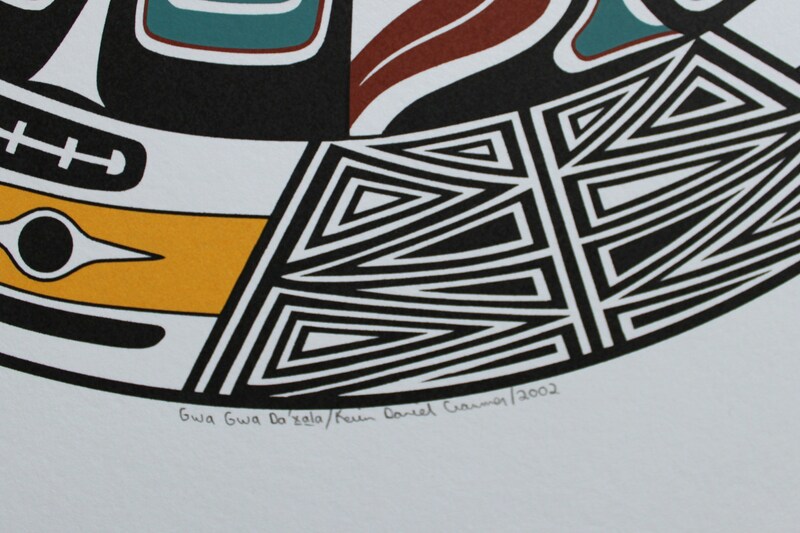 I chose to portray Gana'o in this design to show the many peoples and places she originates from. Finally, I portrayed myself on the tail of the Raven to show that this crest is one in which I also proudly share. Gilakasla." This limited edition silkscreen print titled "Gwawina" by Kevin Cranmer was hand produced by the screen printing process. It is the only limited edition printing of this design. The artist has inspected and signed each copy in the edition. All trial copies of this edition have been destroyed and the printing stencils obliterated.